The final par 5 and reachable in two in normal conditions. They key is to avoid the fairway bunkers from the tee to leave a long iron/fairway wood to the green. A sensible strategy and par is there for the taking. 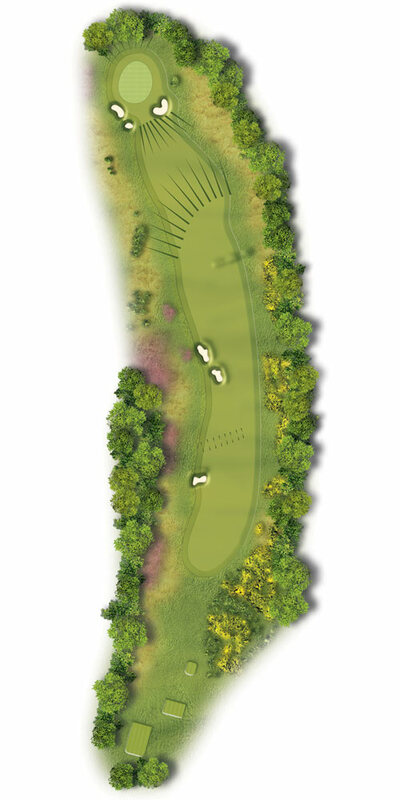 Avoid the first bunker; lay up to a wide fairway and then a mid to short iron into the green. Sounds simple!